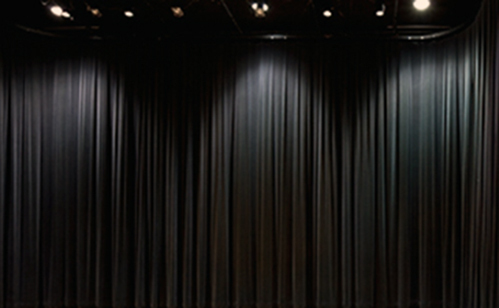 Drapeworks manufactures and installs theatrical and stage drapes. 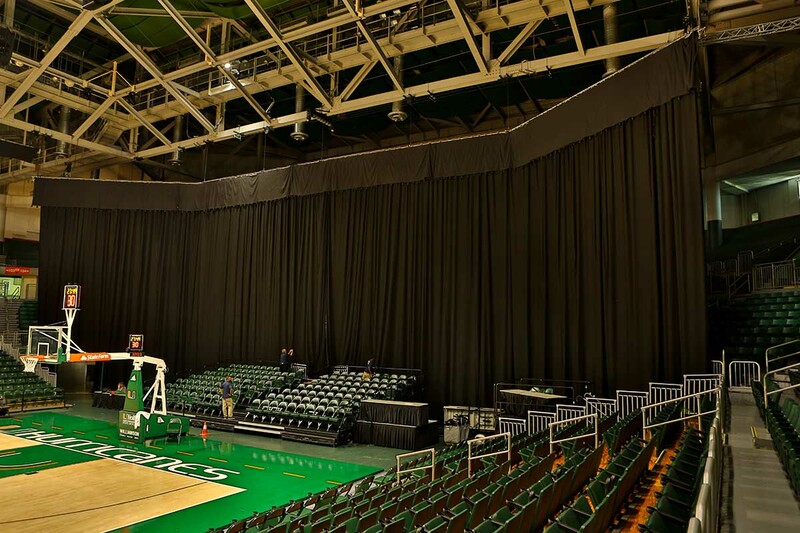 Our in-house sewing department and certified riggers have over 25 years of experience and completed projects through out the USA. Mostly used in churches, schools, and theaters. 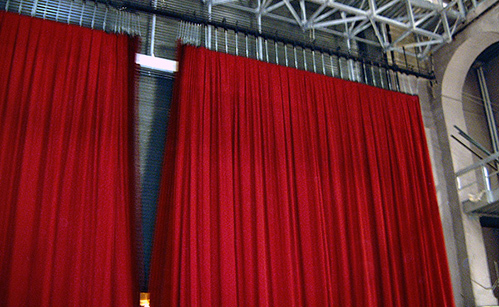 Two types of Pleated Curtains. Hung from a traveler track and built of two panels with a central overlap. 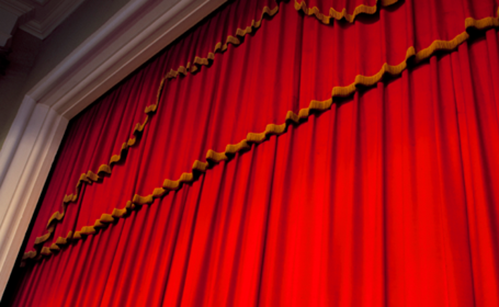 A mechanical system to lower and raise objects used in larger theaters. 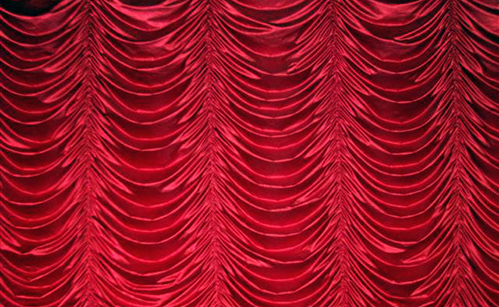 An Austrian Curtain is made of one piece and consists of multiple rows of scallops or curves. The scallops are created either by shirring or hand-pleating the fabric vertically along the edges of each row.